Sugar and sweeteners, what’s what? Sugar, we all know its bad for us, but do we really know why?? Apart from it makes us fat and rots our teeth… what really happens? And what are the alternatives? Here’s a low down on what’s what when it comes to your sweet tooth. Sugars occur naturally in many foods, especially fruits, but manufacturers also add refined, processed or artificial sugars to most processed foods these days. People are buying these sweet foods because manufacturers have them hooked. In the past 30 years, sugars have doubled in the foods we buy, yet most of us seem blissfully unaware. Our body uses the broken down form of sugar- glucose for energy, and the liver stores excess sugar as glycogen. 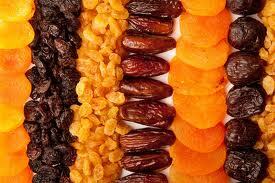 This is the go to store of energy when the body needs it, during exercise, between meals or while fasting. But we can only store so much in the livers ‘energy cabinet’. The rest unfortunately gets converted to fats (triglycerides) and gets stored in fat pockets. So the more excess sugar, the more fat pockets will be made to store it! If that wasn’t bad enough, this type of fat that is not useful to the bodies cells, they get incorporated into our cell membranes. This is especially the case with processed fructose sugars (as in high fructose corn syrup). The body has an even harder job digesting these and the liver again converts them to triglycerides (fats), but once these lipids make up the cell membrane these cells become insulin resistant (leading to diabetes). With the huge amount of this processed sweetener in foods these days, it equals a big fat problem and one poor congested liver! A day in the life of a sugar addict…. Carbohydrates the sugary or starchy part of foods also get broken down into glucose. These come in two forms, simple and complex. Simple carbohydrates are the refined/bad ones, complex are the unrefined/good ones. Processed (simple) carbohydrates get absorbed very quickly, which gives a unnaturally rapid increase in blood glucose. Our body does its upmost to keep these blood glucose levels in check and a rise in levels is what we call hyperglycaemia. This rise in our blood glucose level prompts our pancreas to pump out lots of insulin to deal with the excess glucose. (insulin takes the glucose to our cells to be used as energy or converted and stored) As a result of this overproduction of insulin, about an hour later the person has got a very low level of blood glucose called hypoglycaemia. Have you ever noticed after a sugary breakfast cereal in the morning about an hour later you felt hungry again? This is hypoglycaemia. And what do people usually have to satisfy their hunger? A biscuit, a chocolate bar, a coffee or something like that and the whole cycle of hyper and hypoglycaemia begins again… yawn!!! Common symptoms include headaches, irritability, dizziness, feeling shaky, lack of energy, trouble concentrating, craving sweets, mood swings and depression. This up and down roller coaster is extremely harmful. Once your body gets used to pumping out tons of insulin everyday to bring your blood sugar levels down, the insulin itself becomes ‘lazy’ having a harder job regulating blood sugar (insulin resistance). This Insulin resistance also makes it harder for our bodies to use fat as energy, in other words, you can’t lose weight easily when there’s a bunch of insulin coursing around your body not doing its job correctly. Nevertheless it’s not just about weight, too much glucose and insulin is a major culprit in many diseases, including the well known hyperglycaemia disease known as Diabetes. This hyperglycaemic disease can cause damage to the vessels that supply blood to your organs. This can lead to kidney disease, plus vision and nerve problems. The adrenal glands are also put under a lot of stress by rapidly shifting blood sugar levels. The adrenals are needed to keep our energy steady and stress levels down. The endless need for the adrenals to ‘help out’ with the fluctuating blood sugar levels leads to adrenal exhaustion. This goes hand in hand with constant high levels of the stress hormone, cortisol floating around our system… which turns us into a ‘stress head!’. Of course putting our body under such strain is highly ageing. Processed carbohydrates and sugar also slows down our resistance to infections and damages our white blood cells, impairing our immune system. According to the Environmental Law Centre – Eating or drinking 100 grams (8 tbsp.) of sugar, the equivalent of one 12-ounce canned soft drink, can reduce the ability of white blood cells to kill germs by forty percent. The immune-suppressing effect of sugar starts less than thirty minutes after ingestion and may last for five hours. In contrast, the ingestion of complex carbohydrates, or starches, has no effect on the immune system. Another reason behind sugar rotting teeth is that it draws the calcium from your teeth (and bones) to buffer the acidity. So over time your teeth will become weakened and the acidity and bacteria then takes action on your teeth. Also needed to help you absorb the calcium back into your teeth and bones, is magnesium. 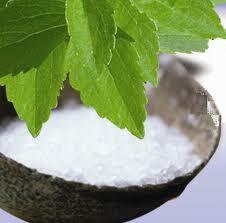 Just one molecule of sugar uses a whooping 56 molecules of magnesium! No wonder there is such an epidemic of magnesium deficiency throughout the western world (think muscle cramps/twitches, fatigue, heart palpitations, osteoporosis) We also have such low levels of magnesium in our soils these days from over farming. This is a serious problem for our electrolyte balance and cell function. Fermentation V Oxygen – Acid V Alkaline. Cancer cells are very hungry for sugar, they have 19 x more glucose receptors than normal cells. Ever considered how a PET scan works. Patients are injected with radioactive glucose. The test measures the parts of the body that absorb the most glucose. Greedy cancer cells light up like fireworks. Cancer cells use fermentation for energy whereas healthy cells use oxygen. 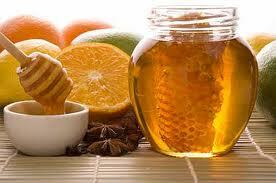 The more acidic the diet (sugar is very acid forming) the more fermentation will be taking place. The more alkaline the diet (vegetables, nourishing wholefoods foods) the more oxygen is brought into the body. Obviously we want to be getting the alkaline/oxygen foods into our system and taking out the acidic/fermentation foods. Another important one to mention is Candida – a yeast. This is a massive problem nowadays, it also feeds off sugar and uses fermentation. Yeast makes it own poop, yuck! So not only are you dealing with your own waste, you are dealing with theirs, in the form of alcohol, formaldehyde, and other toxins. Signs of an overgrowth are gas, bloating, mental fog, fatigue, weight gain, fungus infections and a coated tongue. These are another big no no! This is not saving you calories and keeping the weight off. Calorie counting is useless. Its not the calories that count it is the source of the calories that count! Processed food with low calories are never going to make you healthy EVER. 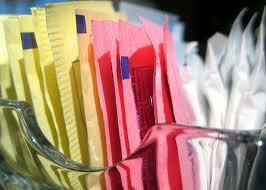 Artificial sweeteners are potent nerve toxins and should never be made for human consumption. This sweetener is deadly. It sneaks its way into tons of stuff, even Bercocca vitamins (Boots vitamin award winner… bravo!!!) 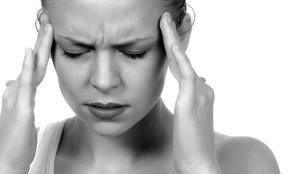 Its been linked to brain tumours, alzheimer’s, and many other serious nervous system disturbance’s. The best way to avoid it is to avoid processed foods and ALWAYS READ THE LABEL! 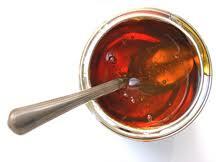 This sweetener had studies linking it to bladder cancer in rats in the 1970’s and it is still widely used today. Avoid! This contains the carcinogen methylene chloride. Long-term exposure to methylene chloride can cause headaches, depression, nausea, mental confusion, liver effects, kidney effects, visual disturbances, and cancer in humans. Although the name would suggest it is similar to sucrose (table sugar) it is actually far from it. 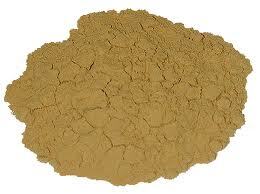 It is made using heaps of chemicals and has especially high levels of chlorine. Chlorine is considered a carcinogen (avoid swimming pools with high levels) and has been used in poisonous gas, disinfectants, pesticides, and plastics. The sweetener Splenda is predominately sucralose. The trouble is all of the above sweeteners and sugars are hidden in so many of our favourite foods, such as diet meals, flavoured waters, canned drinks, squashes, salad dressings, jarred sauces, and even chewing gum, vitamins and tooth pastes. Coming off this stuff is hard work and should be done gradually, going cold turkey is just not gonna happen, so be patient with yourself! First swapping the bad for the good and certainly not touching the artificial – Think as natural as possible and shop smart! The safest bet is to stay away from processed foods and always check the label. Glycemic index is a comparative measurement of the amount of glucose released by a particular food over a two to three-hour period. As a general rule for low GI foods you should choose complex carbohydrates over simple carbohydrates. So thats brown bread over white (if you want to include this at all! ), brown rice over white, Oats and Quinoa over cereals, and eat vegtetables in abundance. You want to be aiming for foods under 55 GI. There are many books and websites with helpful charts you can use for reference. If you suffer from blood sugar imbalance or any of the symptoms above you need to limit all sugars, even the natural ones. Eating sugars with good quality fats (coconut oil, butter ghee) and good quality protein (organic eggs, nuts etc) is going to slow down the rate at which you burn them. The goal is to stablise your blood sugar by eating balanced meals at regular intervals throughout the day, so that you no longer crave sweets. True success comes when you do eat sweets but they no longer taste good, better yet, they give you a headache, make you nauseous, tired, dizzy and depressed! Naturally occurring sugars come along with fibre, enzymes, vitamins, minerals, and antioxidants, whereas processed and artificial sweeteners have no nutritional value at all. 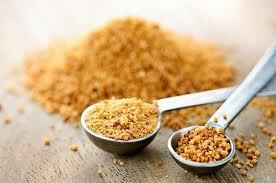 Brown sugar is obviously a better choice than refined white sugar, but there are more nutritious options below. Although I do not believe calorie counting is beneficial for being healthy, I will state them for your reference. 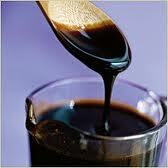 We all need to cut back on our dependence for sweet tastes, even the natural sugars. But substituting the white stuff and artificial/processed stuff for the ones above are going to be a great help to regaining and sustaining health. A top tip to curb the sweet craving is hydration. When you feel the crave coming on or your energy level dips, have a pint of body temperature filtered water. This can help balance blood sugar levels and should get you feeling normal again. Often we are not hungry, we are actually thirsty! Nancy Appleton, Suicide by Sugar.